We're "Outdoorsmen" by choice; professionals by design. We've worked hard to establish a culture of excellence, and we understand that our high standards can only be maintained by meeting and exceeding our customer expectations on a daily basis. My wife Treasure and I are both Colorado natives. We are proud to call Colorado Springs home with our 2 girls. We owned a business called Davis Sprinklers while we lived in Salida, Colorado. When we decided to move to Colorado Springs we sold Davis Sprinklers. Once we moved to Colorado Springs we built EZ FLOW SPRINKLERS, INC. We have owned EZ FLOW Sprinklers since 2005. We have built this business on hard work, using only the best quality parts and designing a system that will work the way you want it to. There is no cutting corners to get the job done, and we will always be honest with your price. With over 9 years of experience, you can trust the job will be completed correctly. Our company is based on the belief that our customers' needs are of the utmost importance. Our entire team is committed to meeting those needs. As a result, a high percentage of our business is from repeat customers and referrals. We would welcome the opportunity to earn your trust and deliver you the best service in the industry! 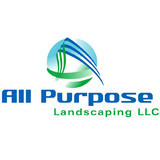 Here at All Purpose Landscaping we inprove property values by thousands of dollars in 5 days or less. With our dream team, design and landscaping experts we create unique spaces for you and your family to enjoy for years to come. Transform your yard into something unique and beautiful; call the professionals at J & R Sprinkler, who have been in business since 1977. A beautiful yard will increase the value of your home and our efficient water methods will save you money on your water bills. Let J & R Sprinkler turn your yard into a gorgeous haven where you can relax and enjoy its beauty. We can do anything and everything to your yard so call us today at 303-688-5909 and schedule a free estimate for adding on to your system or new installation. J & R Sprinkler are a fully licensed and insured company, and with 37 years under our belts, we have figured out the best approach to recreating your yard at an affordable price. We specialize in sprinkler installation, but we can do it all. JVJ Lawn Care & Sprinkler Co.
At JVJ Lawn Care, Inc. & Sprinkler Co. we have been in business for over 14 years. We take pride in our work and treat our jobs as our career’s versus just something to do. With our combined years of experience, attention to detail and hard work we provide the highest level of service and quality. From our lawn care crews up to our office staff & management you will always get someone who is knowledgeable and can address your cares or concerns. We are fully licensed & insured. We also have two Qualified Supervisor’s and several technician’s on staff who are licensed by the Colorado Department of Agriculture. We can help address any questions or issues with turf, ornamental’s, and home or commercial pest control. Do you want the prestige and enjoyment of a well maintained, beautiful and unique landscape? As a client you receive personal attention from qualified knowledgeable gardening professionals. Helping you achieve a sense of pride and horticultural success in your garden is our goal. Let us help you create and maintain your private sanctuary of beauty and wonder that is uniquely yours. Personal attendant for you lawn and garden!